The current list, released in July last year is under review now. 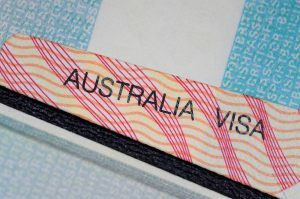 The department has released a draft Victorian visa nomination occupation list and invites ideas and inputs from interested parties. The draft list has 80 occupations, 13 more than the previous list. However, only 31 occupations from the previous lists are included in the draft lists, leaving many popular occupations out. Many occupations from the health sector such as Dietition and Podiatrist have also been dropped along with Gasfitter, Roof Plumber, Metal Fabricator, Sheetmetal Trades Worker, Welder, Metal Mechanics Airconditioning, Telecommunications Linesworker, Electronic Equipment Trades Worker etc. Popular occupations like Accountant, Taxation Accountant, Company Secretary, Electronics Engineer, Mechanical Engineer and Solicitor are also included in the draft list. Melbourne based Rohit Mohan of Lakshya Migration says the draft list is a mixed bag of winners and losers. Consultations regarding amendments are still open and people can provide feedback. The final list is expected to be published in mid-2019.